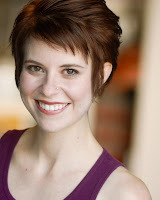 Laura Jo Trexler is an actor singer who realized one day that there was a side job she could do that would let her be her own boss, stay connected to the arts and make more money than any "normal" side jobs: piano tuning. She is now a piano tuner while maintaining her career as a performing artist. Here is how she did it and why you may want to look into it as well. What made you think of becoming a piano tuner? I play the piano and one day one of my keys was broken so I looked down into the piano and literally a light bulb went on. It as simple as that. I knew the woman who tuned my piano, Joan Wagoner, so I asked her if she would teach me how to do it and she said yes. She had maybe taught a couple of people before but she hadn’t taught anyone in ten to twenty years. We had a mutual acquaintance so she accepted to teach me but it wasn’t a regular thing for her. I learned in about six months for standard tuning and adjustements. I'm still learning about anything that involves taking the action out of the piano and replacing hammers. "The most popular program is an online program"
What was your approach to learning how to tune pianos? A lot of people go through schooling. The most popular program is an online program by Randy Potter. There are also two to three schools throughout the country. The studies last usually between one and two years. I learned everything by shadowing Joan. She would come over twice a week and she would show me simple things. At first I learned the basics of tuning. I also had a book that showed the mechanics of the piano (pianos have more parts than cars). I paid her roughly $1,500 total, which is much cheaper than the classes, and I wrote it off my taxes. She still helps me today when I need help. She also bought my orginial tuning hammer and all the basic tools that I need. What was hard and what easy to learn? Everything at first is hard to learn. You’re training your ear to listen for something you’ve never heard before. As a pianist you’re not listening for tone and as a piano tuner you’re listening for beats. Learning the temperament scale (in the middle of the piano) was very difficult because every fourths, fifths and thirds have different number of beats and they have to be exact for you to be able to tune the piano to the correct pitch. Bass notes are also really difficult at first because there is so much fuzz and so many false beats (other noise and extra beats), but those became really easy pretty quickly. The highest octave is still difficult because it’s harder to hear beats up there. How much does a piano tuner make? It depends on how many piano you do per week, and it changes per geographic area. In Denver, it’s between $80 to $100 per standard piano tuning. The average piano tuner tunes an average of three to four pianos per day. Repairs are another thing, that’s where you make the most money. For example, I had to fix a couple of pieces in the action on four notes, and you charge people for new pieces plus commission, and the hour (I charge $35 an hour). It’s unlike tuning but after two hours I had made $200 just simply because of the parts. Depending on what it is I charge more. Some things are very tedious, because pianos might need “felt” or new bridal strap for every single key, and there are 88 of them so you could basically be watching a movie at the same time, and at the end, you clock in the hour! There is potential for a lot of money in piano tuning, maybe $70,000 per year. "I get into a zen state when I tune"
What are the advantages and disadvantages of being a piano tuner? It is very solitary. You don’t have a group of people around, you’re working on your own. It’s hard to tune if you have a headache or you’re not feeling well and when you’re not focused. It is also really hard on the back if you can’t learn how to tune sitting down, which isn’t how I was taught. It is better for the string if you are upright and pull it to your right as opposed to just having it be parallel to the top of the piano and pulling it down, but that really hurts the back. At the same time I get into somewhat of a zen state when I tune which can be very nice. I love to tune a piano that’s very out of tune and play it afterward. I love hearing people’s reaction, particularly when they don't know what a tuned piano sounds like and suddenly they are amazed by how great their piano sound. Are you the athlete type or the artsy type?